As a semester-long project for my MSLIS in the spring of 2015, I contributed recommendations for planning, marketing, and outcomes-based assessment for “College Women: The History of Women’s Education Digital Portal.” The course was IST613, “Planning, Marketing, and Assessing Library Services” at the School of Information Studies at Syracuse University. 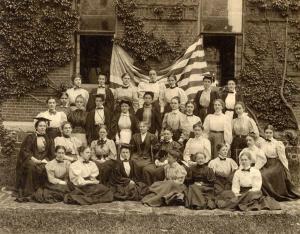 I consulted with Joanna DiPasquale, the Digital Initiatives Librarian at Vassar College, representing one of the seven institutions participating in this digital portal, the original “Seven Sisters” women’s colleges. My report focuses on recommendations for future developments, including a detailed literature review, project plan, marketing plan, and assessment plan, based on an analysis of the stakeholders and institutional focus areas for the digital portal. The full report is available at http://ardenkirkland.com/Kirkland613FinalReportForPartner.pdf.